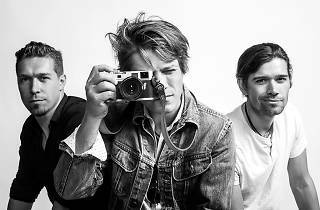 On the heels of the release of their latest holiday album, Finally It’s Christmas, the Hanson brothers open up about the longevity of their musical career and more. As my 12-year-old self rejoices at the sight of the three Hanson brothers with beers in hand sitting across from me in a downtown New York City bar (Barcade, to be precise), my current self notices that it's particularly challenging to get a word in. The brothers, and band mates, are aware of that: “If you have learned anything from this conversation, is that we have strong opinions,” says Taylor, 34, the second oldest, towards the end of our time together. Referring to them as “strong opinions” is a bit of an understatement. Often speaking over each other and at times even disagreeing (who could ever expect three distinct individuals to agree on everything? ), the musicians boast the sort of passion and intensity that only people entirely sure of their place in the universe, let alone in the current musical landscape, can truly harness. 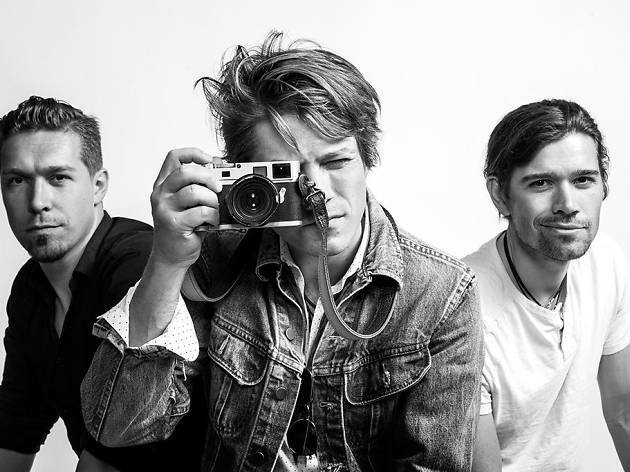 Take youngest brother Zac’s, 32, thoughts about being asked to perform the 20-year-old hit that propelled them to fame at the ages of 12, 14 and 17—“MMMBop”—at every concert for over two decades: "I like to play 'MMMBop' as much as I like to play any other song," he says, joining the conversation a few minutes late because engrossed in a vivid The Simpsons video game. "The only time I don't like to play [it] is [in] some situation that it's taken out of context." Now men, all three brothers steadfastly oppose being referred to only as a '90s boy band. "When your history is taken completely out of context," continues Zac, "It's extraordinarily annoying." Said growth doesn’t often get the recognition that the band’s steady career most certainly deserves. After releasing their first album, Middle of Nowhere, back in 1997, the guys have dropped new music every few years. Even more recognition-worthy than the longevity of their act is the currentness of their entire musical repertoire. Play songs like "Weird" (1997), “This Time Around” (2000) and "Already Home" (2013) today and be amazed at how of-the-time they still sound. The band’s consistency is obvious in their output, their genre and their tone: Live or recorded, their voices never crack and all three brothers are perennially on pitch, even while playing a variety of instruments. “When we did the 10th anniversary acoustic recording of Middle of Nowhere,” recalls oldest brother Isaac, 37, “after we were done mixing, I said: ‘I’m kind of stating the elephant in the room but this is crazy to me, we’re playing these songs and most of them feel like they could be on our current record.” The only difference 25 years in? Their gone-through-puberty voices. Other than their distinctive sound—a very specific fusion of pop and rock with a dab of soul mixed in as well (“For better or worse, we’re very isolated creatively,” says Zac. “I don’t know of any band that sounds like us.”)—what has historically (yes, 25 years constitute a history) defined the band’s career in the eyes of the public is the utter lack of any sort of drama or scandal between the brothers. When pointing the fact out, they nod in tacit agreement and mention their shared goals as the basis of their out-of-ordinary-in-Hollywood wholesomeness. Next up: Their relationship with each other and with their other four siblings (Jessica, Avery, Mac and Zoe). “What’s extraordinary about our relationship is not that we don’t fight, it’s that we fight three times a day like it’s breakfast lunch and dinner and we’re ready for it,” says Zac about the dynamics within the trio. “Do we want to kill each other? Yes, absolutely! I am certain that they have both planned my death at times and at times I planned theirs. It’s an unfortunate side effect of human nature to be self-centered and so one day you just walk in and you say something stupid that makes you feel better and it crushes the work that the other guy did.” As for the rest of the siblings, all younger than the bandmates: “[The relationship with the others] is really, really good but because of what we’ve done, it’s not necessarily that [us three are] closer [but] we know each other in a way that nobody should ever know each other,” says Taylor. As the happy hour crowd parks into Barcade and the sound effects of the tons of video games surrounding us become almost unbearably loud, it’s time for one last topic of conversation. I dare ask: Given the music industry's recent push for diversity, do they think that three white, undeniably good looking brothers could be successful releasing the sort of music that they have been producing for the past 25 years if they had started out in today's cultural atmosphere? Without missing a beat, Taylor demands to be the one to answer: “Let me just pause for a second, let me just take this in. Ask yourself where that question is coming from,” he says, effectively tossing me in the kind of situation at first loathed (Did I say something untrue?) and then treasured by the average reporter. Taking a deep breath, he concludes: “By the way, this is the second time today that question has been asked of us.” Which, in a way, confirms the source of my initial query: I was clearly onto something. It suddenly occurs to me that the flair and passion with which the bandmates responded to my question had nothing to do with potentially getting offended and had everything to do with that wholesomeness of character and hopefulness in humanity that we spent so much time discussing. The Hanson brothers are just as pure of thought as they have appeared to be over 25 years: Nothing about them is an act—which, in a world now dominated by flamboyancy lambasted across all sorts of mediums, is a refreshingly hopeful character trait.